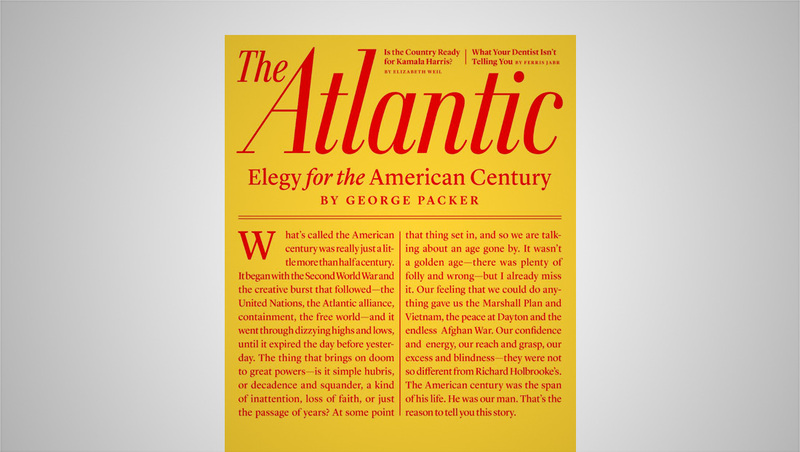 The Atlantic’s May 2019 cover is a typography-only design. Designed by Peter Mendelsund, the magazine’s creative director, the bold cover used yellow and red. The layout combines the publication’s iconic logotype with headlines and two columns of text, all set in serif typefaces.